Cesare Speich, Genoa, Italy. A great rarity! 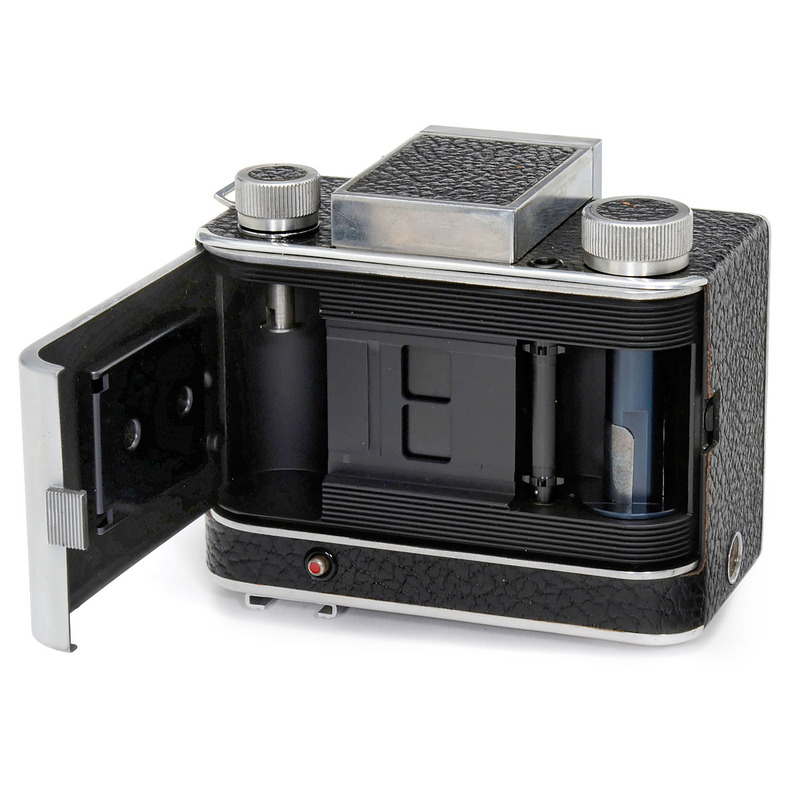 Stereo camera for 35mm film, size: 2 x 10 x 12 mm, Rodenstock lens pair 2,8/20 mm, guillotine shutter 1–1/250 sec. – Only approx. 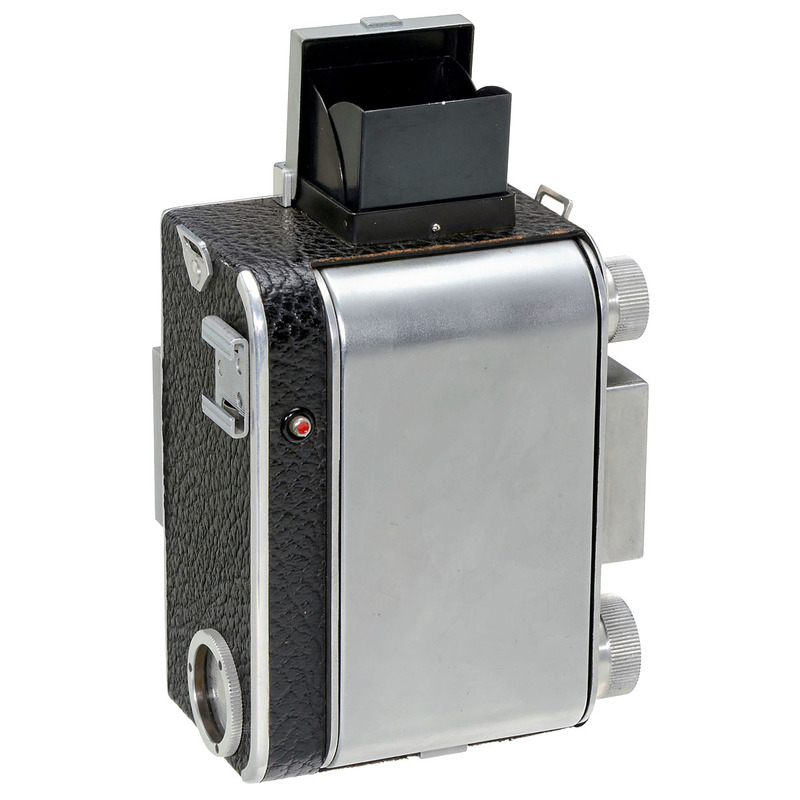 15 examples of this camera were ever made! 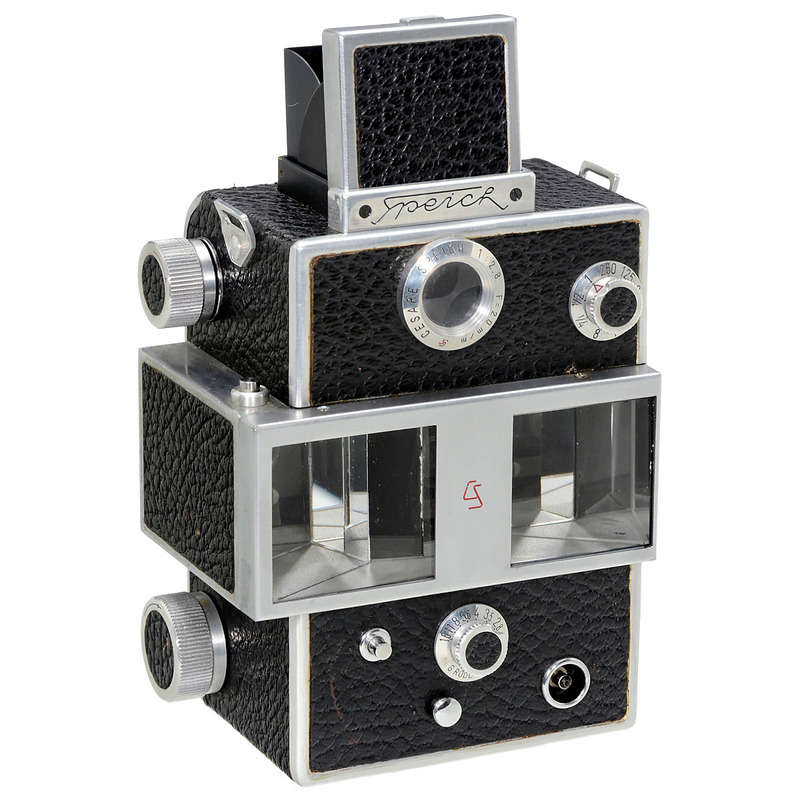 – Very rare stereo camera. – Literature: Prof. W. Weiser, "Stereo Cameras Using Film", 2004, p. 111.